Struggling to know what to buy for your Mum this Mothers day? We've reviewed some great gifts ideas so you can find the perfect gifts to treat her to something special on Sunday, whatever your budget. Reviewed by Vic: I tried Lily of the Valley & Hyacinths and Bluebells candles but there are a huge amount to choose from depending on your mood and preferences. The candles have a real premium feel and look really special. I lit the Lily of the Valley candle first, once the initial wax had melted the beautiful aroma filled the room. The scent reminded me so much of my grandma as these were her favourite flowers. Next I tried the Hyacinth and Bluebell scent. The colour of candle is amazing and the scent was delicate but lovely. I burnt each candle for a couple of hours and both were really slow burning which is great. Potters Crouch say each candle burns for 50 hours meaning these are a great value buy costing only 17p an hour! These candles are beautiful and would make an ideal gift for mums and grandma's this Mothers Day. Reviewed by Chris: "There's nothing I love more than dancing around the house to my favourite tunes. Usually I use my phone but the sound isn't great so I was so excited to review this HMDX Jam wireless speaker. I connected it to my iPhone wirelessly via Bluetooth and it connected immediately. The sound quality was amazing, very impressive and it has a wireless range of up to 10 meters meaning I could leave my phone and just move the speaker around the house. This is going to be amazing for our Summer camping trips this year - a great little device that will be used ALL the time. Highly recommended, a great investment - buy one today!" Reviewed by Emma: I've recently taken up running so my feet have taken a bit of a battering and I was excited to try the foot spa (my mum had one in the 90s but it didn't really do much so I didn't have high expectations!) This particular foot spa comes with aromatherapy oils too so it's a real treat and if it's good enough for Elle then it's good enough for me! The spa claims to have double the bubbles of a normal foot spa as well as LED mood lighting and the aromatherapy mist diffuser. I absolutely loved it,I felt so pampered and it was so nice to relax after my run by dipping my feet in to the warm bubbles and using the (removable) massage rollers. There's also a pedicure attachment in the centre meaning that you can give yourself a mini pedi as you relax. It's a great gift - a little pricey but a lot cheaper than regular trips to the salon. one thing I did used to enjoy was a pedicure at my local salon. It's been quite a few years since my last one and to be honest my feet are a little worse for wear so I've really been putting this to the test! First off I should tell you, it takes 2 AA batteries which aren't included so make sure you gift the batteries too. It's really, really easy to use- with the flick of a simple on/off switch the roller starts up at 30 rotations per minute. You just hold the micro-mineral roller against any hard skin on your feet and it goes to work. It didn't take long at all and the results were fabulous even after the first try. Ive used it 3 times now and my feet are silky smooth. The MicroPedi isn't something I would have thought to give as a gift but having tested this one I'm planning on getting one for my mum AND my sister! Second Time Mummy loves fashion so we had to test this one ourselves. First off we should say Just Blue have an amazing range of dresses but we chose this ponte stretch panel detail shift dress which is perfect for giving you a slimmer appearance due to its black side panels. The real thing we love about this dress though is that it's the perfect dress to take you from work to bar because it's so easy to dress up or down. The fabric is a great quality and with it's neon coral and black colour it's on trend too - I know I'll be wearing it a lot this season. Reviewed by Carol: When I was told these items came from Alsi and they were priced at £3.99 each I was stunned. They come in thick plastic for protection but once you get them home and open them you see that they come with indiviual gift boxes. They certainly look a lot more expensive that the RRP. I wore the set this weekend for a family meal and I had two compliments (which is epic when you have a family like mine). I'd certainly head to Aldi to get a couple of sets as gifts - once they're in the gift boxes they look at least 3 times the price you'd pay! A surprising thumbs up from me - I'd never have considered Aldi as a go-to for gifts! An exclusive complex of 10 active ingredients at full concentration makes this uniquely formulated serum an essential part of every skincare routine. Skin appears youthfully vibrant and radiant. 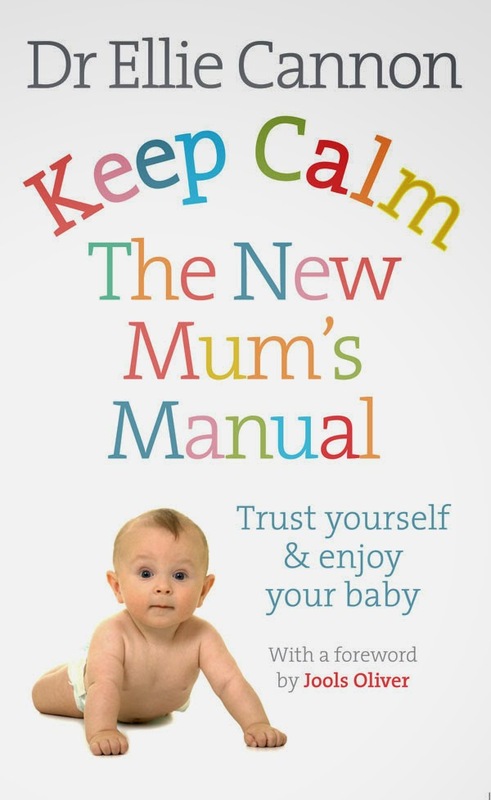 Turning the tables on the wealth of huge parenting manuals and their conflicting advice, GP and mother-of-two Ellie Cannon will empower you to relax, trust your instincts, have faith in your parenting and enjoy more time with your baby. Lacura CC Face Cream (£4.99) is one of the most exciting new Specialbuys to hit Aldi’s shelves this weekend. The CC cream promises to banish dull, red and sallow skin. It’s a little too dark for me (MAC NW20), but mixed in with some moisrusier to lighten it, it looks great. It provides good coverage as a base for my foundation – I’ve used it for 4 days now and I’m looking forward to seeing more changes to my skin. The Lacura Nutri Build-Up Face Mask (£3.99 for 40ml) and Lacura Anti-Fatigue Face Mask (£3.99 for 40ml) have been specially designed to rejuvenate dry and tired skin. Lacura Shimmering Day Cream (£1.99 for 50ml) is also back on shelves on as a Special Buy. The cream contains light pigments that give a silky-shimmering effect to make the skin appear more even and radiant and is enriched with DEFENSIL® - a special complex that helps condition and protect sensitive skin. Pro-Vitamin B5 provides skin with moisture and botanical oils to support moisture retention. And for the body, Aldi has range of body-butters available. The sweet-scented Shea Body Butter (£1.99), Coconut Body Butter (£1.99), and Raspberry Body Butter (£1.99) are all nourishing moisturisers with vitamin complex to leave skin feeling noticeably soft and smooth - perfect for pre summer preparation. The red is a refreshing, sweeter wine, bursting with flavours of cherry, pomegranate and raspberry. Best served chilled, it's perfect for serving on Mother's Day alongside a traditional roast beef dinner with all the trimmings, followed by rich blackcurrant cheese cake. It has an RRP of £6.99 and is available from from all major retailers. The Gallo Family Vineyards Summer White is packed with sumptuous fruity flavours of ripe apple, pear and citrus with subtle floral notes. This sweeter, light wine is a perfect treat for mothers relaxing on a crisp spring evening this Mother's Day, paired with a light salad or pasta dish. It has an RRP of £6.99 and is available from all major retailers.